LOS ANGELES and NEW YORK (November 13, 2018) - The 2018 Boston Red Sox dominated their way to a World Series title in a way that baseball fans have never seen. A relentless march through the regular season led to a franchise-record 108 wins. Then they beat the Los Angeles Dodgers for their fourth World Series championship since 2004 after blowing through the rival Yankees and defending champion Astros. 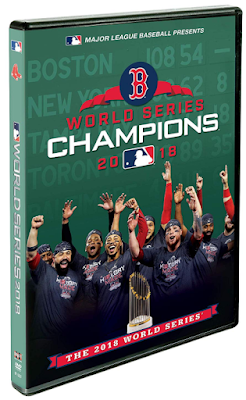 This December, fans across Red Sox Nation will be able to relive the exciting journey with two ultimate home entertainment collectibles, celebrating the team's unforgettable championship title run. 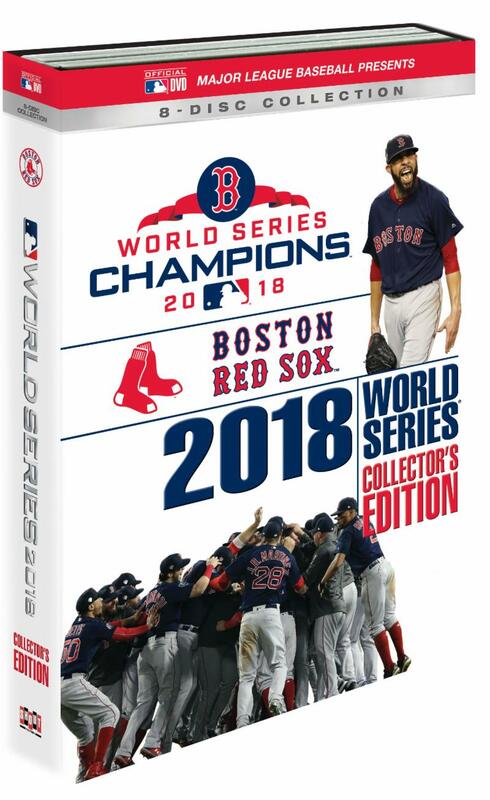 The official documentary "THE 2018 WORLD SERIES", available on two-disc Blu-ray+DVD combo pack (with digital copy)and DVD (with digital copy) and the "2018 WORLD SERIES COLLECTOR'S EDITION: BOSTON RED SOX", an 8-disc collection on Blu-ray and DVD, will both release on December 4, 2018, from Shout! Factory and Major League Baseball. With camera crews capturing unique views of the Fall Classic's most mesmerizing moments, "THE 2018 WORLD SERIES" documentary is a tradition that dates back to 1943 when the U.S. State Department commissioned Major League Baseball to produce a recap of the World Series for troops overseas. Emmy Award winning actress Uzo Aduba narrates the expertly crafted 2018 documentary, edited from a multitude of original hi-def and archival footage, delivering the Red Sox breathtaking World Series run in extraordinary fashion. 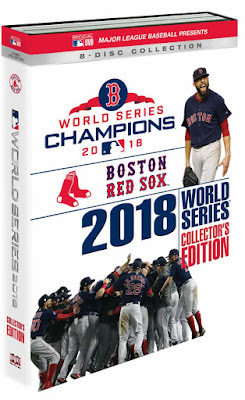 The comprehensive bonus features include regular season highlights, clinching moments, postseason highlights, "How They Got There" featurette and scenic footage from the duck boats at the World Series parade. 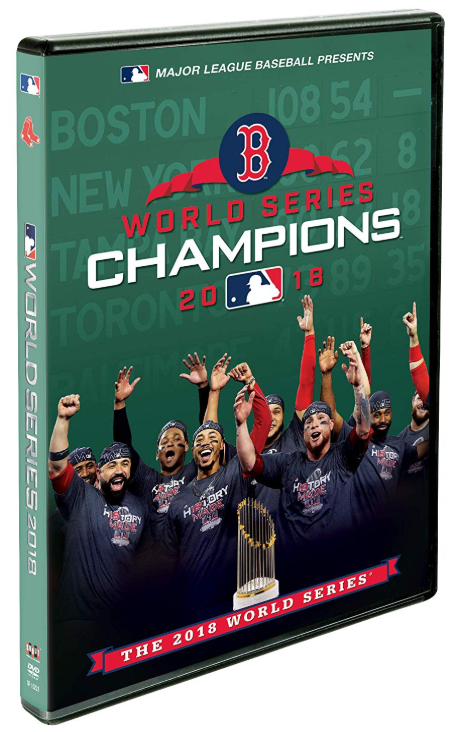 Die-hard fans will also be able relive the team's entire World Series run with the "2018 WORLD SERIES COLLECTOR'S EDITION: BOSTON RED SOX",a 8-disc set that includes all five complete games of the World Series, the pennant-clinching ALCS Game 5 and a bonus disc of the ALDS clinching Game 4 versus the Yankees. Red Sox fans and baseball aficionados alike will relish in the opportunity to revisit all the pulse-pounding action from the 2018 Fall Classic -- from Eduardo Nuñez crushing a three-run home run in Game 1 to set the tone for the series and Steve Pearce's four RBI Game 4 to David Price's stellar starts in Games 2 and 5.